Following in the footsteps of Memento and Irreversible, Inside No 9 ventures into the arena of the reverse; telling its narrative from end to beginning, and still managing to add depth of character whilst it appears to stripping it away. Things start off normal enough with a removal man turning up at a country cottage (Number 9, natch) to help housewife May (Monica Dolan) move her stuff. There’s a Carry On style farce to proceedings as May tries to wrap her head around the removal man’s euphemistic company name, and he tries to handle seeing May’s husband (Reece Shearsmith) walking into the kitchen dressed as woman. It’s end of the pier stuff and Kenneth Connors emerging from a bush to utter ‘Crickey!’ wouldn’t seem out of place. And then the bodies start turning up. One wrapped up in a roll of carpet, the other in the downstairs toilet, it’s understandable by the removal man would want to make a hasty retreat. When May ends up killing her husband, it’s time for explanations. Instead, Shearsmith and Pemberton rewind the clock to ten minutes previously. And so it goes on for the rest of the episode and more layers are added to the narrative. May is not the owner of the house, it actually belongs to Natasha (Emilia Fox) and her senile father, Percy (David Calder). Natasha’s neighbour is May, who – we eventually discover – has just found that Natasha’s sleeping with her husband. To add insult to injury, Natasha and May’s husband are planning to elope after getting a hitman to kill May. Shearsmith is that hitman, Viktor, and his reasons for being at Natasha’s house and not May’s? Well, that’s down to May changing Natasha’s house number from 6 to 9. This one tiny act of somewhat excusable self-preservation, we learn and have already learnt, will lead to the deaths of five people instead of just one. Talk about the butterfly effect. It’s a brilliantly constructed piece of work that plays upon the audience’s assumptions, without letting them get in the way of the narrative. It’s fascinating to watch how the characters change as they’re dragged back to their original states. Natasha leaps from tragic murder victim to Lady MacBeth-esque conspirator. Whilst Viktor goes from camp cross-dressing husband, to doting son (Percy imagines him to be a long lost relative), to the cool and calm hitman he always was. All of which is coloured by his utter frustration as he continually stumbles across one more witness he must dispose of. You almost feel sorry for him. Once Removed revels in farce as much as it does bloodshed and is all the better for it. After the rather bittersweet ending of the last episode, it’s nice to see the boys getting back to some impish comedic misbehaviour. As we grow and get older, it’s common to see the large group of friends we once had in our youth begin to fracture. Often, it’s for familiar reasons such as moving away, getting married or having children. These are the commonplace grumbles we’ve all had. “I never see Darryl anymore since he got a kid.” Darryl doesn’t hate you, his circle of priorities has moved over ever so slightly to accommodate looking after this mewling creature that’s come out of his partner and needs constant attention until it buggers off at the age of 18. Darryl doesn’t love you any less, stop hassling him. Sometimes, and this is rare, we fracture our group by ourselves. A sharp word or misappropriated ‘joke’ goes awry and the next thing you know, you’ve had a blazing row with your friend of 20 plus years and they no longer want to see you. It can leave you devastated and abandoned, or it can leave you poisoned and bitter. Time will heal you and one afternoon, your thoughts may turn to that person. You’ll sift through some feelings you’ve not had in a while, and you may even ponder about what happened to your friend and if you’ll ever make amends. The second episode in the fourth season of Inside No 9 is about friendship. It’s about other things too, of course. 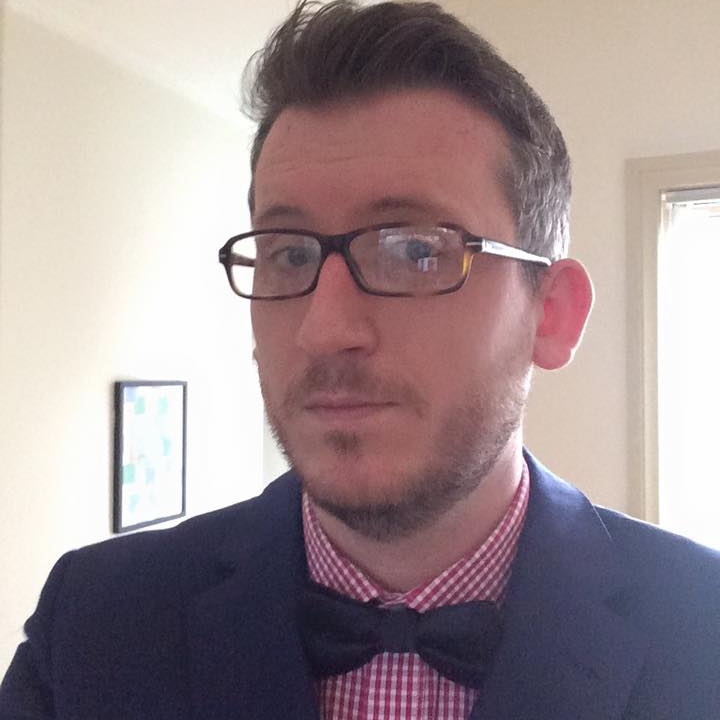 It throws a spotlight on comedy and the creative/argumentative process. It tackles remorse and regret, the empty feeling of reminiscing about a past that you can’t alter. It’s about trying to make amends with yourself. 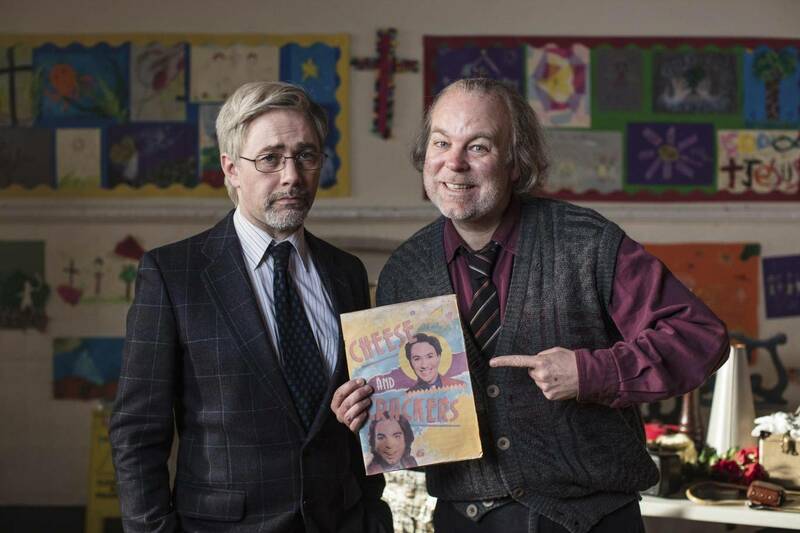 Largely though, it’s about two friends: Tommy (Reece Shearsmith) and Len (Steve Pemberton). Tommy and Len were once a popular comedy duo from the late 80s called Cheese and Crackers. I mentioned this episode is partly about comedy and their old name immediately conjures acts like Cannon and Ball, and Little and Large. Comedy duos you couldn’t imagine continuing should one leave the other. Tommy and Len have long since gone their separate way and now, 20 years later, find themselves in a school hall getting ready to put on one last show. Tommy is now Thomas, a successful businessman who wishes to have the whole Cheese and Crackers business best forgotten. In a temper, he admits to Len that he pays someone to take down any videos of their old act that are uploaded to YouTube. After all, how is he to do business if people have seen him ‘with tights on my head and ping-pong balls for eyes.’ Len, on the other hand, has never left the duo. He bounds into the hall, bubbling at the prospect of working with Tommy again. As they run through their old routines, he throws himself into each one with more gusto than his partner. Whilst this is all an incredibly dated embarrassment for Tommy, it’s a second chance for Len. One of the wonderful things about this episode is how, come the ending, it begs you to rewind and listen again to the dialogue, now with added weight. A bittersweet joke about Len having all their old shows on VHS but not being able to watch them foreshadows the later revelation that he is homeless. When Tommy barks that he’s only returned because of a letter from Len’s daughter, this is the first step towards acknowledging that things got much worse for old Lenny. Other clues were there, from Len’s overzealous splash of whiskey in his coffee to using real beer in their sketches. Len is an alcoholic or to be more exact was. This whole episode has really been about Tommy attending his friend’s funeral and preparing to give a speech in honour of a man he hasn’t spoken to in decades. It’s an old trope of speaking to the dead, but the way they pull it off is heart-breaking. To read all the above, it does sound like a bleak half hour. Inside No 9 very rarely wades up to it neck in dramatic waters, and there are enough laughs here to stave off the doom and gloom. From being unable to rely on celebrity impersonations because they’re all on the Yewtree list (‘People love remembering things that happened in the 70s.’ ‘This lot don’t.’) to much more innocent affair as Tommy and Len go through their genuinely funny old school routines. In the end, the running over old material allows Tommy to move on from the animosity he had towards Len’s drinking, and remember his friend in a warmer light. With excellent performances from Pemberton and Shearsmith, this poignant piece of TV was a reminder that there is always a chance to forgive, our friends never really leave us and if you’re going to cry, cry tears of laughter. Just wonderful.